LMB exports most of its clothes to countries in Africa and Eastern Europe where they get transported across the regions from the city centres to the remote rural communities. Most regions of Africa don't have a textile industry to produce good quality clothes that are affordable to the average person, and charity shops simply don't exist over there. Exporting our second hand clothes helps create overseas markets and provide less fortunate people with affordable western clothes. The majority of clothes exported are sold or traded in the local community markets. 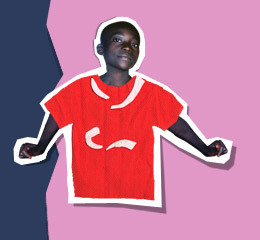 LMB also supports a number of orphanages and schools with your donated clothes, shoes and sports kits. To find out more about LMB's work overseas click here.